Day four already! 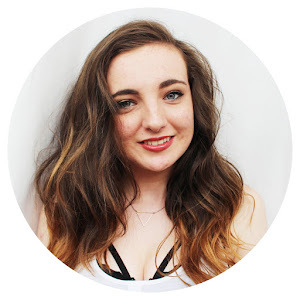 A little personal(ish) post for you today about blogging! Obviously there is a few negatives to blogging, which i'm not going to go into, but I think the positives definitely outweigh the negatives, so this is what this blog post is going to be about. 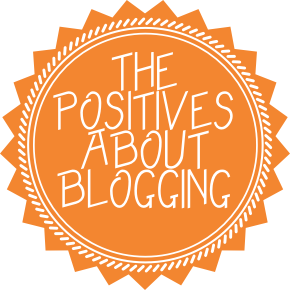 The first positive is the enjoyment that I get out of blogging. I'm sure many people think it's a chore, or boring to be blogging every day, but I love it!! I love writing, and taking photos, and being creative, and blogging is basically merging the three together! Discovering new products. Since I started blogging in April, I have discovered, and started to use products that I had never thought I would use, and they've become my favourite things! Getting to talk to so many people. Since starting the blog, i've spoken to a lot more people either on twitter, or in the comments here, and it's nice to have something in common with people. Growing as a blog, and as a person. I look forward to seeing how far my blog can grow, and as cheesy as it sounds, I think i've grown lots as a person. I've definitely matured since I started blogging, as weird as this sounds. Being able to look back on my life. Not all the posts I do are beauty related, some are lifestyle, and I love being able to look back over these, and I smile with all the memories. Looking back on how i've improved, over the past half a year. It's great to see. Sorry this post was pretty short, but i've been super busy today. I may go back and spend more time on this post at some other point, but I just really wanted to get something up today.